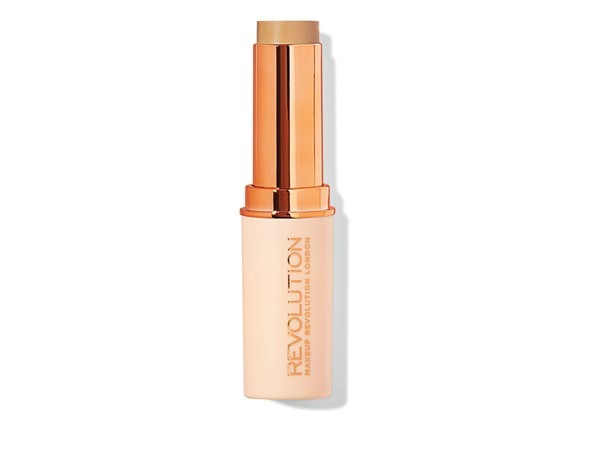 How many stars do you give Conceal & Define Full Coverage Foundation by Revolution? 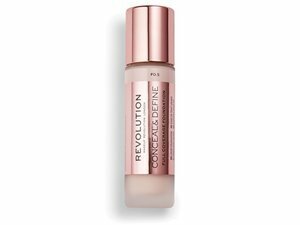 Revolution Conceal & Define Full Coverage Foundation is available to buy at Beauty Bay, ASOS, and Revolution Beauty. Offering lightweight yet buildable coverage in 24 skin-true shades, this versatile foundation is designed to suit every skin type and tone. With an oil-free yet creamy and comfortable formula that dries down to a long-lasting, demi-matte finish, it won’t settle into fine lines or cling to dry patches. 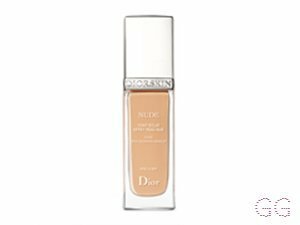 Housed in a luxe glass bottle with a jumbo doe-foot applicator for greater control and less waste, this foundation offers highly pigmented coverage that can be layered or diffused to suit your look. Swipe on and blend out to ramp up the coverage for a ‘real skin’ finish that diffuses blemishes and uneven skin tone. Or let your complexion’s natural character shine through using a small amount with a damp beauty sponge for veil-like coverage. Follow with your favourite shades of Conceal & Define Concealer to highlight, contour or conceal. So wanted to try this foundation as it was hyped up as full coverage with staying power. I thought if it was good I could have a cheaper alternative to double wear....... WELL.. NOPE so drying and chalky doesn't blend either I've ended up mixing it with another foundation just to get it on and I've got combination skin. I think it only lasts a couple of hours then sticks to any dryer areas sorry not for me. I am in my late 30's/early 40's with combination, tanned tone skin and green eyes. My hair is light brown, combination with fine texture.  MakeUpGeek, nikola300 and Milliebarryx like this. I purchased this a while ago and initially hated it. The smell is disgusting, a very chemical smell. As I had no other choice of foundation to switch back to at the time, regardless of my mum saying if it smells like that, why would you put it on your face? The first few uses were not great, for some reason it would separate throughout the day. After trying multiple primers it finally worked with the Revolution Pore Blur Primer! Using a beauty sponge, the foundation finally worked out, full coverage, evenly applied and longer lasting than before. I will be getting another shade of this, slightly lighter as the one I have already does oxidise slightly. 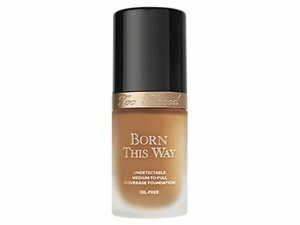 Overall I have decided that I love this foundation for the price point but the chemical needs to go as it is seriously off putting. Great shade range!! Very fast drying so need to blend quite quickly. Need to layer for full coverage. Seems like a good price but you are only getting 23ml when most foundations are 30ml. Lickle-Boo, Amestarz and Ceecee_mua and 1 others like this. I am in my late teens with dry, light tone skin and unknown eyes. My hair is unknown, unknown with unknown texture. I have this & find it extremely good. A nice price too! It basically does what it says on the tin. 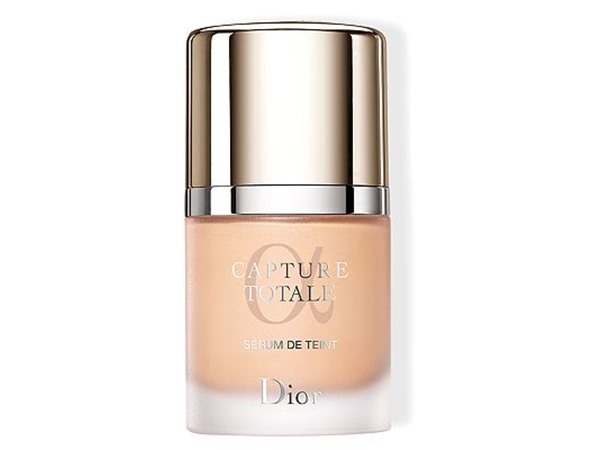 This foundation gives great coverage, it blends so easily. It so easy to apply, its not thick and it doesn't leave your face looking caked in foundation. Its a great quality product for a great price. I also use this as a primer for eyeshadow and use it as a base for creating cut crease looks. I just can't find fault in this product! nikola300 and Lisab123 like this. 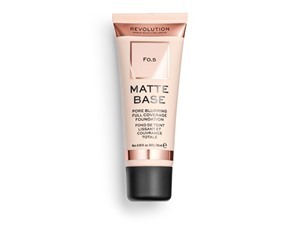 Have most of the makeup revolution foundation and this one is great for everyday wear. Comes in 50 shades so you are bound to find something that suits you. Love the consistency of it and it blends out beautifully. Hides a multitude of sins and is a great price. a great foundation for on the go. easy to apply and blend as long as you don't leave it too long or else it will dry like the concealer which is also a very good product. 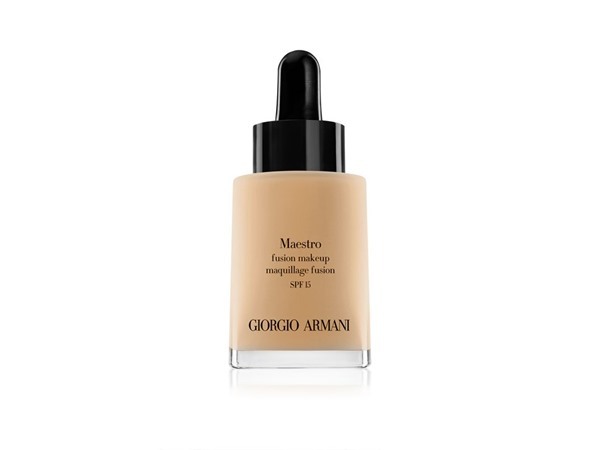 it is full coverage and a little does go a long way so the product should last a while. there are quite a few shades with different undertones to try and suit as many skin tones as possible. I have the shade C1 which is one of the lightest shades which matches my skin tone very well as I have more of a warm-neutral complexion. would highly recommend this product s it does last on my skin and doesn't look too drying. This product has great coverage and a really good shade range its cheap as well. It covers dark circles up really good it dosnt make me look cakey at all. I am in my late teens with sensitive, fair tone skin and unknown eyes. My hair is unknown, unknown with unknown texture. MakeUpGeek, Frantastic91 and Amestarz and 4 others like this. I am in my late teens/early 20's with acne/problem, tanned tone skin and unknown eyes. My hair is unknown, unknown with unknown texture. MakeUpGeek, Peapea and Amestarz and 4 others like this. I suffer with adult acne all my life and I absolutely love this foundation it gives great Coverage and the wand is an easy way to Apply . I would choose this foundation over high end ones . They also have lots of shades . It covered all my imperfections . I am in my mid 20's with acne/problem, medium tone skin and unknown eyes. My hair is unknown, unknown with unknown texture. MakeUpGeek, Peapea and BeautyOnABudget like this. I was sceptical to try this as I’m not very keen on the concealer. Unfortunately for me this product caused dry patches on my face and looked really cakey. My friend had the same experience with it I will definitely not try again. I am in my late 20's/early 30's with combination, light tone skin and hazel eyes. My hair is medium brown, normal with fine texture. Frantastic91 and maryam22 like this. This foundation instantly reminded me of the Urban Decay All-Nighter foundation. One of the most lightweight but full-coverage foundations I’ve tried! As well as being a great foundation, £9 for a big glass bottle or is even better! A great tip I found with this foundation is at the times you don’t want as high coverage, mix in a little of your fave face oil in and it creates a more natural, glowy, yet flawless complexion! This foundation is my go to at the minute! Warning—- This one does tend to oxidise slightly so maybe if you’re on the fairer side(the first one I bought that I thought was my shade is now my fake tan shade) Also it does tend to dry my face out slightly after long wear, but is easily fixed with a good night cream! I am in my late teens/early 20's with sensitive, light tone skin and unknown eyes. My hair is unknown, unknown with unknown texture. I donto enjoy using this foundation. Once I've used my bottle up, I won't be buying another. For me it clumped in the creases of my skin. Particularly around my lips. I use a moisturiser and 2 primers before to hydrate my skin and it takes all the hydration out of it. Some people swear by this foundation but personally I don't. Time to look for another product for me. I am in my late teens with normal, light tone skin and blue eyes. My hair is dark brown, normal with normal texture. The shade range is brilliant with undertones of all shades and colours. The application stick which comes with it is really useful to apply the foundation as it gives just the right amount avoiding cakeiness and putting too much product on. It is easy to blend out and is super light weight. I bought the foundation a couple of months ago and I wear makeup quite frequently and it has lasted ages. I would say this is a great drug store foundation and would definitely reccomend it. Doesn't work on dry skin! I have dry and textured skin. The coverage is good, The colour range is quite good too. It's very matte and because of that, it didn't want to work with it. If you have oily skin, it might work for you but for me, it's a no go. I am in my late teens/early 20's with dry, fair tone skin and blue eyes. My hair is dark brown, combination with normal texture. Frantastic91, Amestarz and Charleyb95xx like this.